The fire extinguisher sits under the driver’s knees with a single outlet tube that goes up to the left side of the driver’s left knee, where it splits at a T intersection. One tube goes up to the dashboard and crosses over to the right side where it ends in a nozzle to the right of the driver’s right hand. 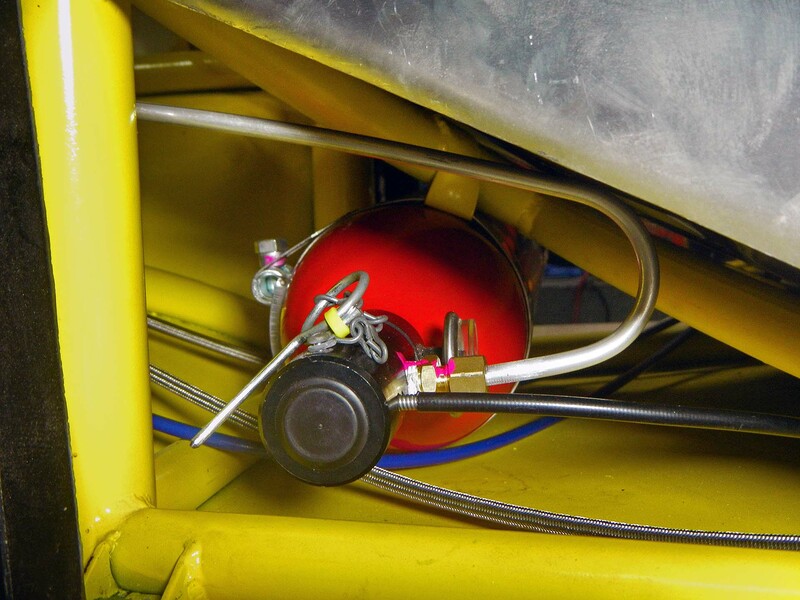 The other tube is routed inside the left of the driver’s compartment, through the firewalls, and ends in a nozzle pointed at the headers. The cable-operated trigger is mounted just to the right of the driver’s right hand. These locations guarantee that when the driver pulls the trigger his hand will not be blocking the driver’s-compartment nozzle. 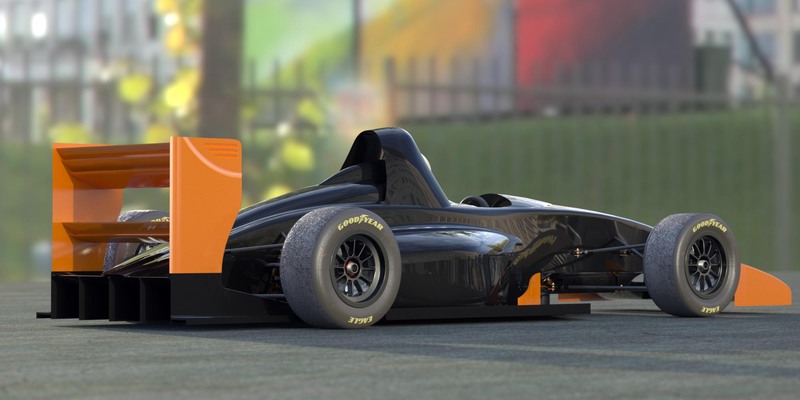 This entry was posted in Cockpit and tagged built-in, fire extinguisher, fire system, formula 1000, race car. Bookmark the permalink.